AppleTree Markets No ratings yet. AppleTree Markets Group is a registered non-profit organization that has been building community in Toronto since 2008. Through our support of rural farmers, local producers, and artisans, AppleTree is committed to promoting the fresh food movement in a fast-paced city. With our farmers’ markets, school programs and community events, our goal is to bring neighbourhoods together. We aim to create healthier people and a healthier planet — and generate some old-fashioned family fun along the way! Think globally…..shop locally. The smallest things in life can make the biggest difference. With the assistance of Councillor Josh Matlow, this lovey community market began in June 2011. 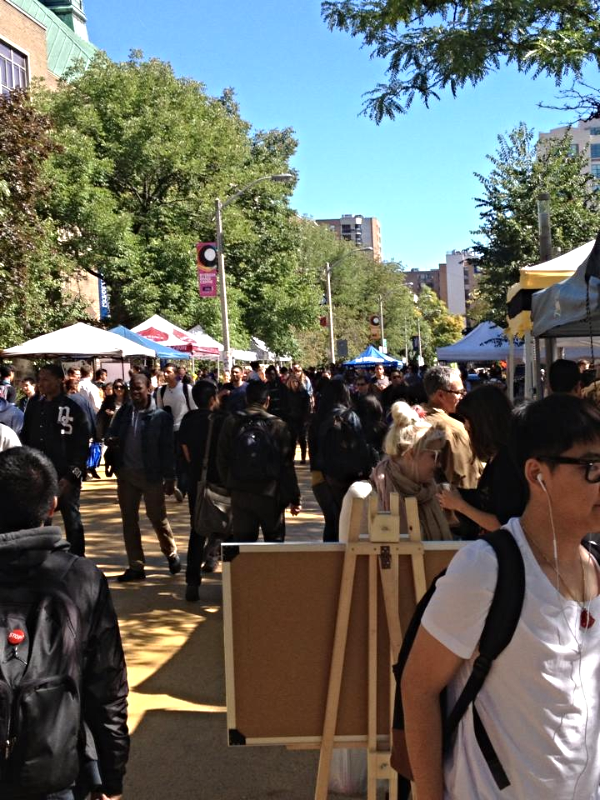 What started out as a test-pilot with only 3 popup markets, has now become a full 22 week market in heart of Ryeson Univeristy. This is the original location for AppleTree Markets – where it all began! Back in 2008 on the tiny corner lot of Eglinton St. George’s United Church. From there, it moved to the Community Centre, North Toronto Park, Orchard View, Canada Post and currently on the front lawn of St. Clements Church. Please drop by to learn more about the markets’ future and plans for a permenant home.